We had a number of great male crooners on this week's show (I feel a special coming on...), starting with Adrian Crowley, the slightly heartbroken variety, then Daniel Knox, a jauntier cabaret style, later Jon De Rosa, a classic 50s style with gravitas, and Marker Starling who comes under blue eyed soul more, with a great pathos under the smoothness. Stewart Lee has not to my knowledge sung on record before but he has now, covering Shirley Collins with Stuart Estel for a tribute album to mark her 80th year coming out on Earth Recordings for Record Store Day. Virginia Wing, making intriguing psych pop; Colleen making meditational dub sounds; Jessica Pratt, bending time with a sublime folk cut. And Moondog, the man himself making oh so sweetly challenging "classical" music with daughter June on vocals from 1970, and then his influence on Kenny Graham from 1956, which comes out like some wonderful interplanetary exotica. A band associated with Rough Trade and Cherry Red in their early years of the late 70s and early 80s and whose apocryphal presence in Morrissey’s record collection reportedly persuaded Johnny Marr to form a band with him. That story alone gives an idea of the dandyish thread running through the band’s music and that particular element of their sound is strong on their new album Spaces everywhere. It’s a wonderful piece of work combining folk, soul and pop strands with an arch songwriting eye and a great characterful croon courtesy of Bid. The arrangements through the album include flutes and banjos but the enduring quality of the writing rises above any individual instrument choices. Take ‘Fantasy creatures’. A twanging Strat, a busy restless observational lyric, then a Hammond organ and the vocal flowers out into a kind of pleading upper register, a brilliant switch – “don’t go away, come and stay forever”. I was put on to Daniel Knox by a friend of mine recently and he’s been a wonderful discovery for me. His third album is self-titled and he’s been around the Chicago scene for a number of years. The best plan is to read this excellent interview and background piece which gives a vivid flavour of the man’s life and work to date, a career which is nothing short of inspiring. "I actually never sang at all until I was 21 or 22. My favorite singers were Al Jolson and Judy Garland and, to some extent, Maurice Chevalier. So my voice was way over-the-top, with heavy vibrato. But to me, it sounded very natural." Epic compelling guitar soundscapes by Sarah Lipstate of Austin Texas (she originally defined herself as a guitar project although there are apparently some synths in here). The tone can turn from brooding to meditative at the flick of a wrist and it makes sense to discover that Lipstate is also a filmmaker, so assured are the switches in mood. Opener ‘Into the dunes’ creates a terrific sense of foreboding with low drones and crunching power chords edging into creeping John Carpenter territory. 'No unholy mountain' takes a prismatic psych approach to arpeggios and sound bleed which is pure gorgeousness. There’s a distinct Reichian flavour to the opening cascade of notes in ‘Rubicon’ and a great hint of Orange Juice style new wave verve about the overlapping guitar lines in ‘Sisters’. And check the lovely ambient Badalamenti haze of ‘Concrete dreams’. Something of a psych run to kick off this wk starting with the great glitch-ridden new song from the upcoming 3rd Tame Impala album. From the upcoming 2nd album by The Great Balloon Race is the equally sublime 'Why meddle?'. New music also from Twerps, a highly likeable ramshackle waltz, Kramies with a lovely line in somnolent dream pop, Noveller with another epic guitar instrumental. 40th anniversary of Kraftwerk's Radioactivity, new album from Smile Down Upon Us which is wonderful charming left field pop, The Monochrome Set with another brand of alt pop full of character. And O Emperor, making soft pop safe for the masses. The Great Balloon Race – Why meddle? First hearing from this Cork band’s upcoming second album ( remember their first album, it was great). There’s plenty to recognise from that album here, particularly the shimmering Tortoise-like guitars and delicious skittering drums. But the intervening couple of years have seen the addition of a fascinating new element to the sound, motorik rhythms in the form of a fantastic propulsive bassline on this track. It turns what was a highly pleasurable, dreamy, kinda hazy creature into a highly pleasurable, dreamy, kinda hazy and absolutely thrilling creature. The motorik subsides at times over the 6 minutes, falling back into the gorgeous jazz stew, before crawling out of the swamp again and making a break for the horizon. Based on this brilliant introduction, I’m looking forward even more to hearing the rest of the album. Previews are expected when they play with Princess in Cork at the end of this month, which is unmissable as they say. New single from the Dublin band showing another intriguing string to their bow. This one leaves previous shoegaze tendencies to one side (apart from a brief interlude midway through) going instead for a strand of post punk fed through a Stereolab filter. The former you can hear in the great strident bass work, uncompromising drumbeat and insistent 2-chord structure. The latter in the second half playout with the love of a gorgeous melody and irresistible overlapping da-da-da vocal by Aoife. 2m39s. This band can go long, they can go short, shallow or deep, noisy or quiet. Whichever way they go, they go with beautiful envelope-pushing pop music. You’re gonna love them long time. Latest single from an album (Company ) that might have slipped under the radar because of its pre-Christmas release. Lead singer and songwriter/guitarist Dearbhla Minogue is Irish but her two colleagues are English, the band is London-based and to be honest this is not the sort of music you would expect to spring up in Ireland. It’s playful (too playful to flourish on this old sod, I’d maintain - she had previous links with the Popical Island people which is a broad church), gleefully flitting across genres but managing to retain a seriousness of intent through considerable musical chops. This tune is a prime example featuring dancing hi life guitars, restless time signatures (you’ll see Deerhoof referenced favourably in reviews of the band and justifiably) and an arrangement that seems to combine three or four songs mashed together. A mish-mash it isn’t though presumably because each melody is so singalong accessible. 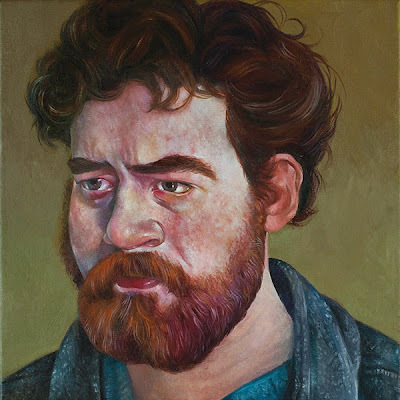 Daniel Knox is someone I've come across just lately (thanks to delzer). He's a fascinating character whose backstory is well worth checking out (it involves Chicago and teaching himself piano). Of more interest to us here, he also has a wonderful voice, a rich croon, and is a great songwriter. 'By the venture' has a jaunty cabaret air to it which undercuts the sombre lyric. Brilliant and playing in Europe this month. New single from Virginia Wing, an interesting English band taking on a little of the mantle of Stereolab and Broadcast. Princess, a Dublin band taking shoegaze and fuzz pop into thrilling new directions. Veterans The Monochrome Set are back with another album proving that class is permanent. Dawn of Midi making riveting instrumental music a bit reminiscent of Hauschka. O Emperor taking a fascinating detour into soft pop. 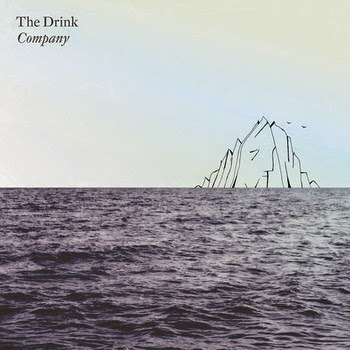 And The Drink - is it math pop, is it amped up folk music, is it unhinged nursery rhymes? - who cares, it sounds great. We started this week with a couple of novelty/comic records, of sorts. From the Coen Brothers film Inside Llewyn Davis, Oscar Isaac, Justin Timberlake & Adam Driver do a fantastic job of evoking the spirit of the 60s, hilariously. (p-p-please...) And from the wonderful Trunk archives, Rod McKuen from 1959 with some coffee house jazz beat poetry - waitresses in bandanas, big men with paper bag lunches, it's brilliant stuff. New Polar Bear, how prolific are they, more great grooves with saxophones. And Aloa Input sounding like early Beck a little. Beck himself plays Cork at The Marquee in June, that's him channelling JC Vannier/Serge Gainsbourg. And José Gonzalez channelling handclaps and drones to great effect. A golden oldie from The Czars, John Grant's former band; Death & Vanilla with a lovely take on brooding psych pop; This is the Kit new single, another wonderful undulating groove.